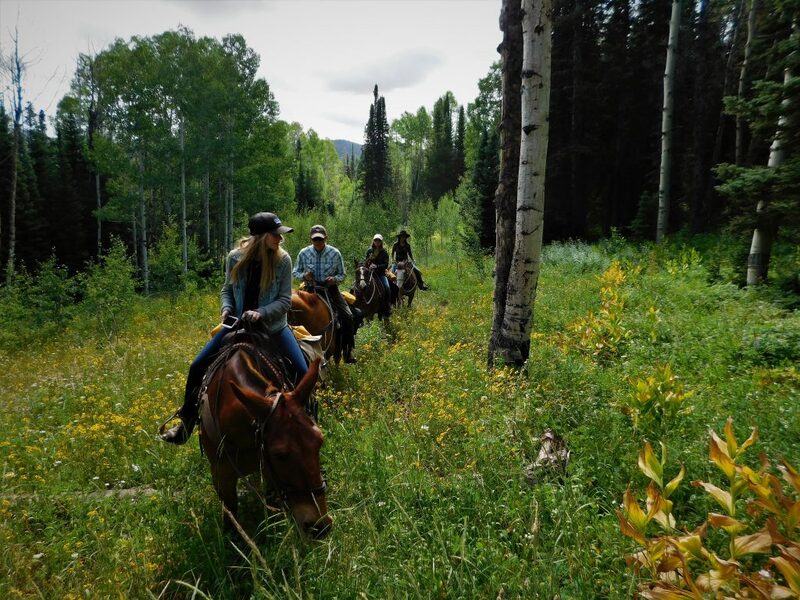 Within our area, we offer both half and full day horseback rides. 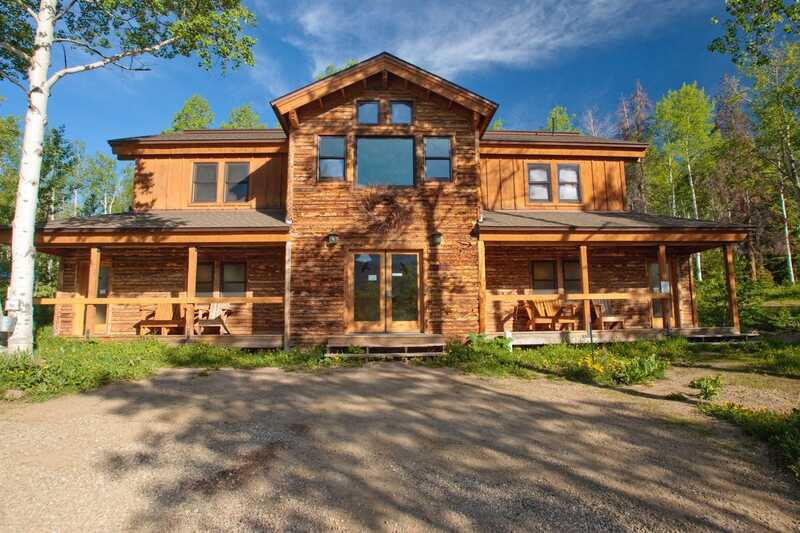 Please do call for availability and preferably a few days in advance if possible if you are going to be in the area. 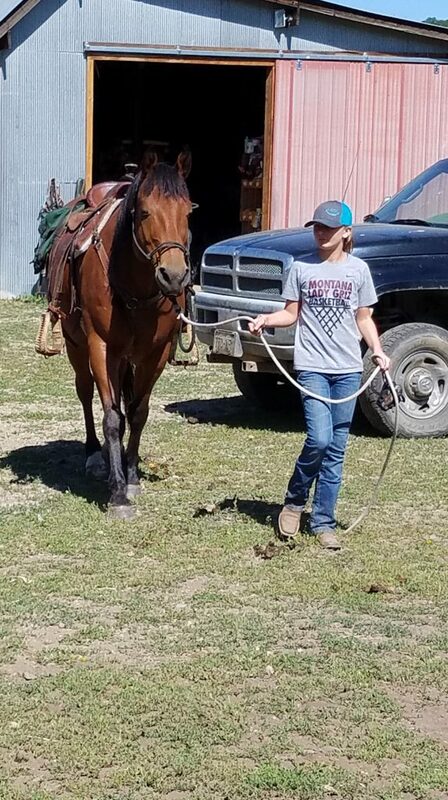 Half day rides go out both morning and afternoon. 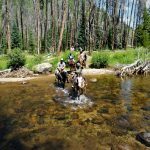 Our rides are on all on National Forest and offer outstanding scenery and depending on the time of day wildlife viewing too. 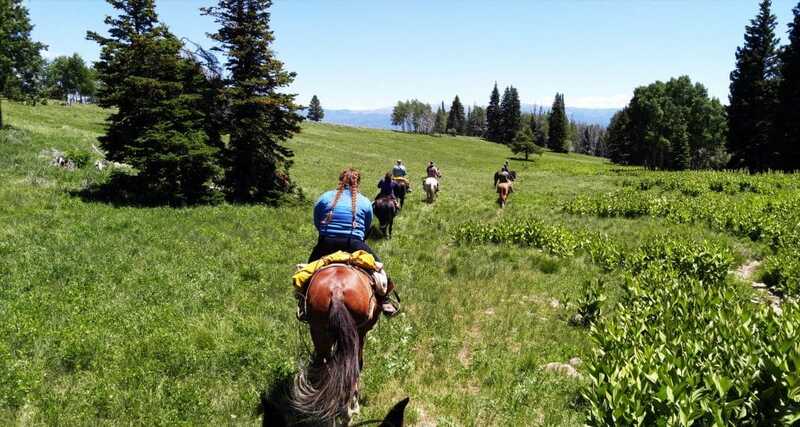 From mid summer on, full day rides up on the continental divide are a possibility with good weather! 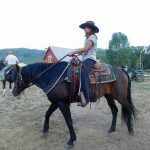 As part of booking your ride, we will need to know rider age, height, weight and riding ability. 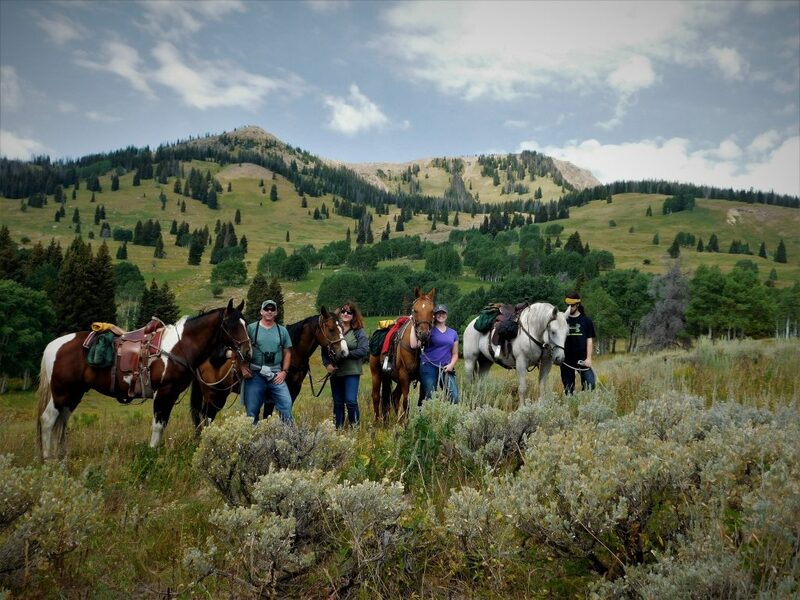 Additionally, we will let you know which trail head to meet us at with associated directions. 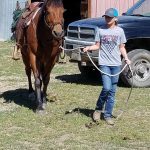 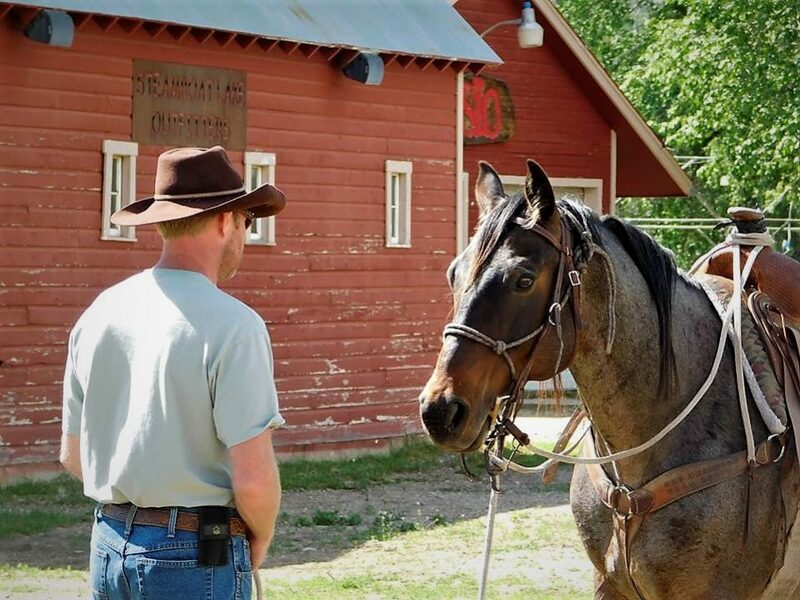 After meeting you at the trail head and completing some required paperwork, we will fit you to a horse or mule of your ability and cover rider instructions / safety tips too. 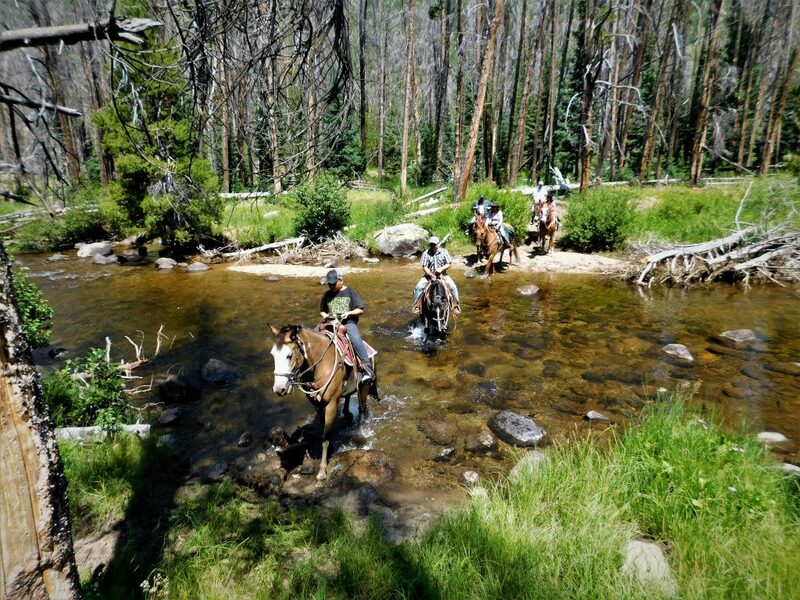 In terms of what to bring, be sure to include food / snacks, a water bottle (full day rides should bring 2 bottles), hat + sunscreen, rain gear (we provide rain slickers too and saddle bags for your food, water, etc.) 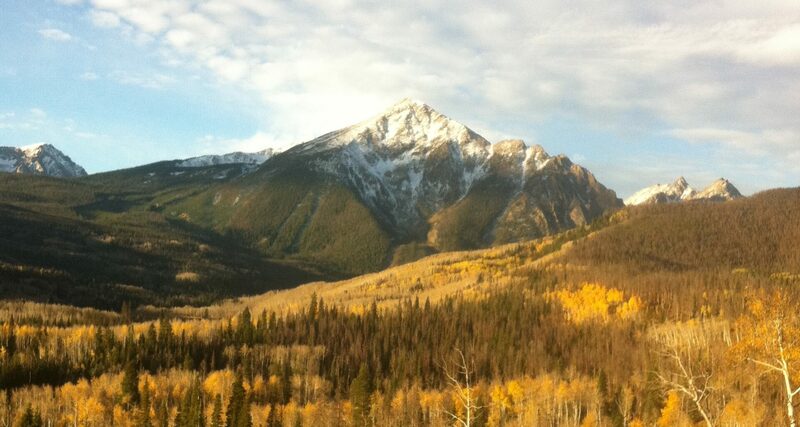 and a warm layer as afternoon showers are always a possibility in the high country. 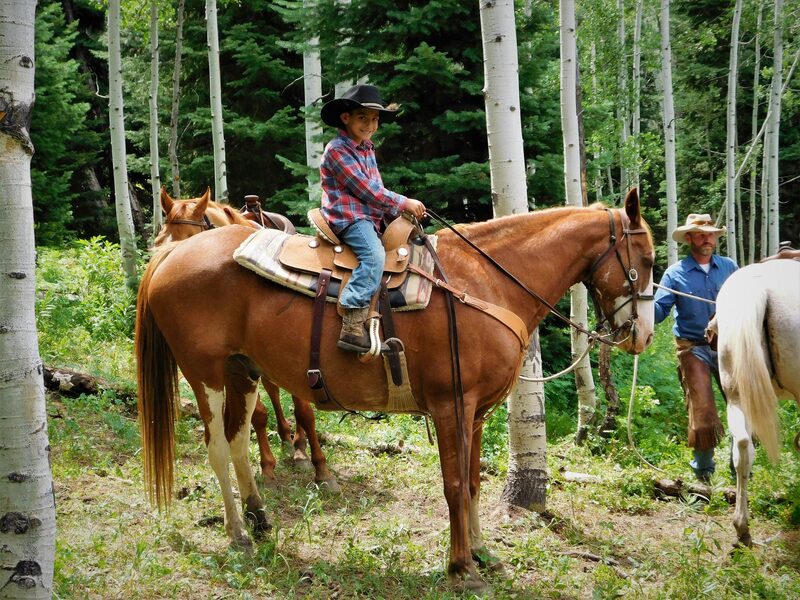 Long pants (jeans are best) and boots / shoes with a pronounced heel are always recommended for riders too! 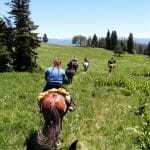 Enjoy a true wilderness experience on the back of a horse. 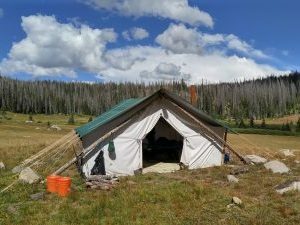 Choose a wilderness pack-in trip with Colorado Outfitters. 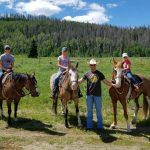 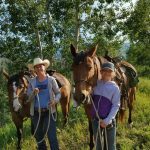 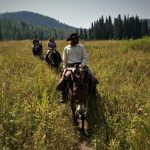 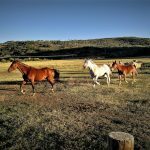 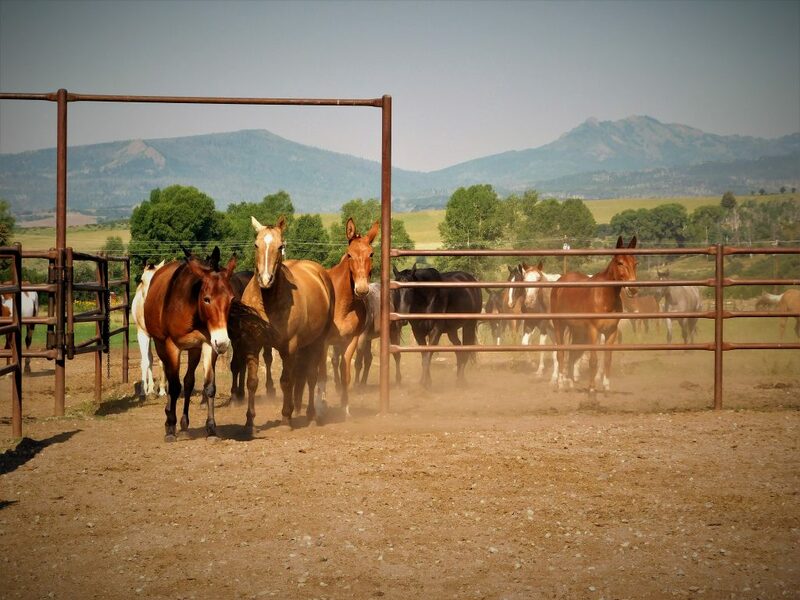 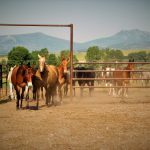 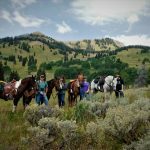 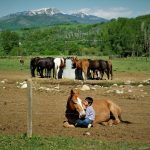 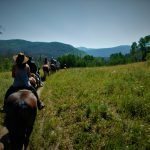 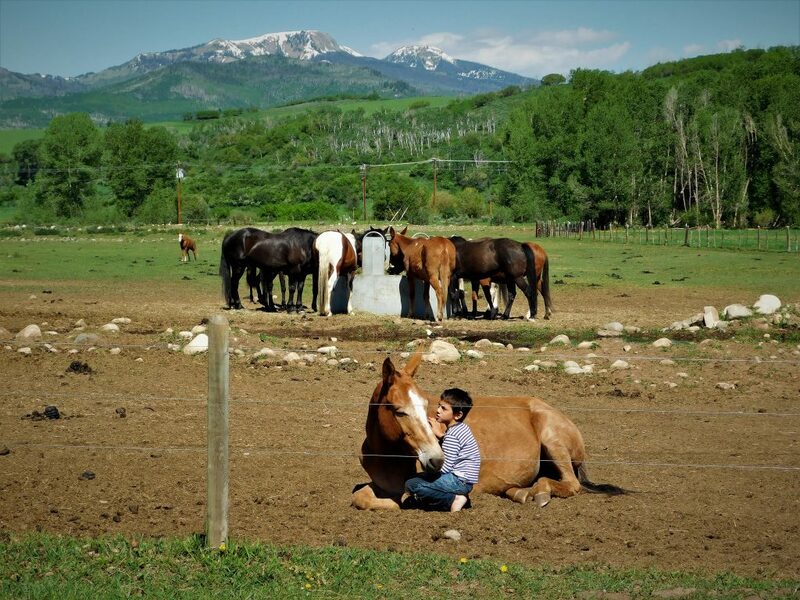 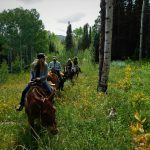 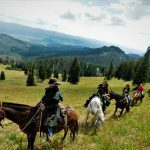 Ready to book your horseback adventure with Colorado Outfitters? 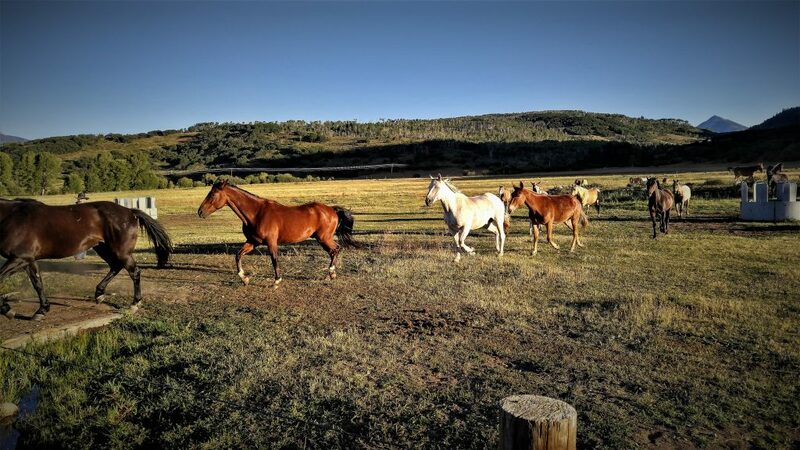 Check here for our most current rates and booking information. 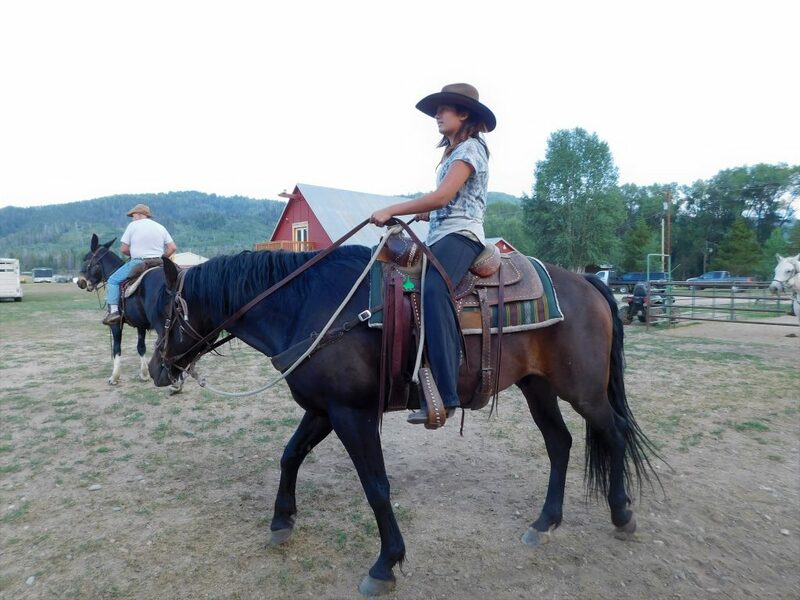 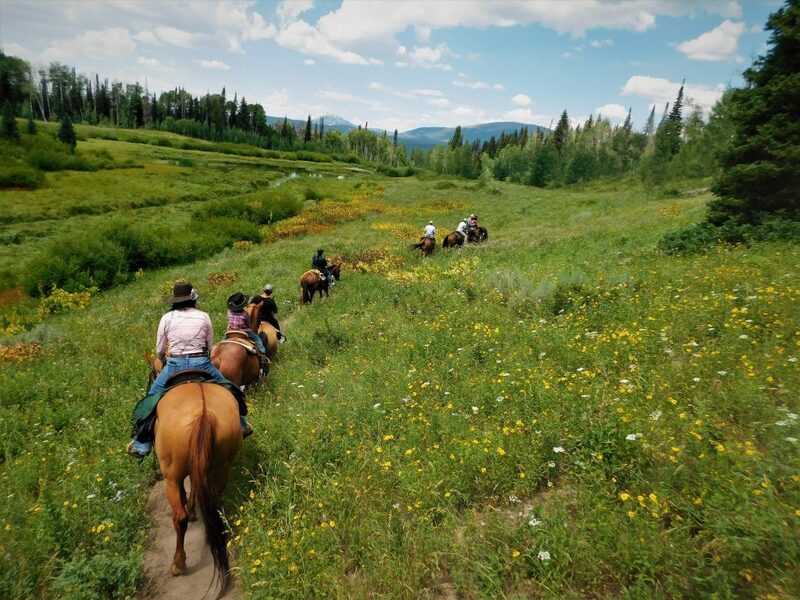 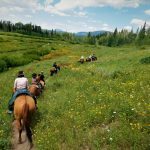 We offer daily full and half-day trail rides from our Steamboat Springs Destination. 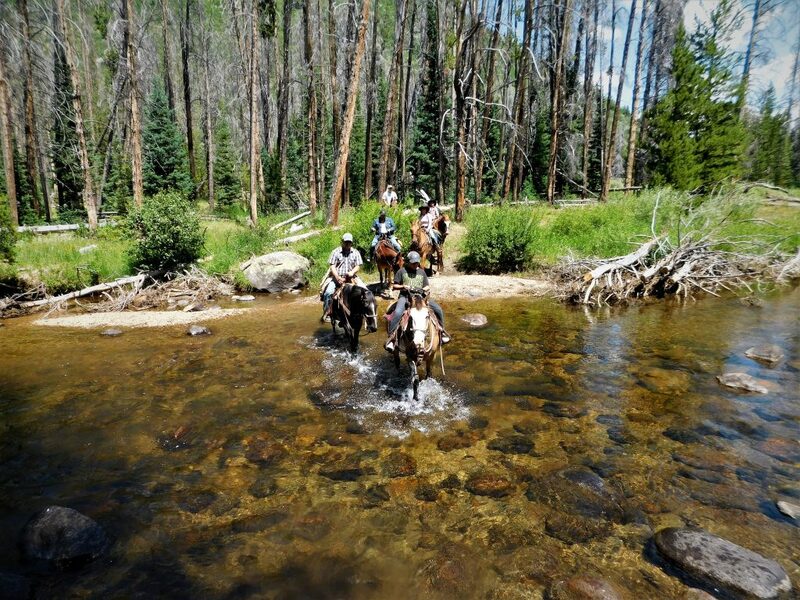 Booked your trip? 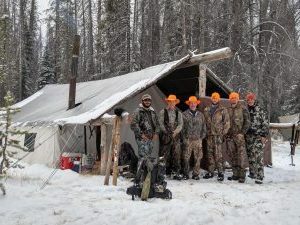 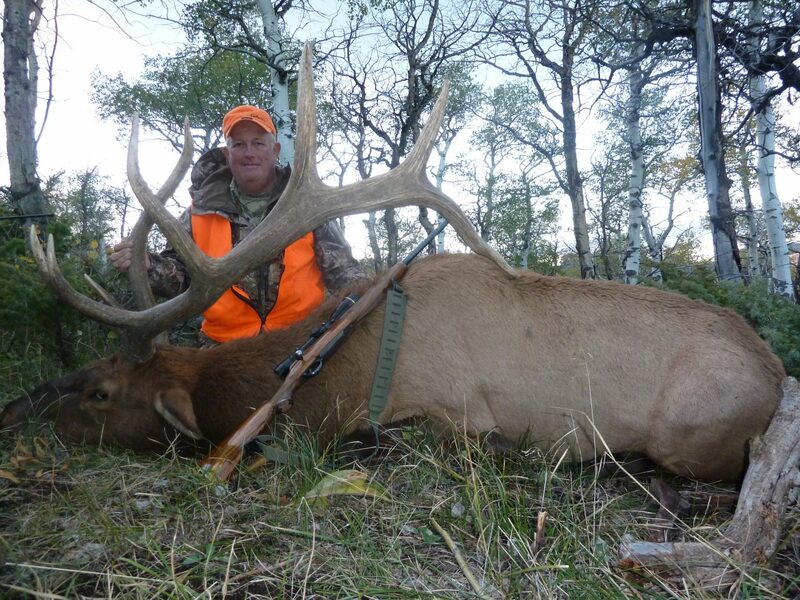 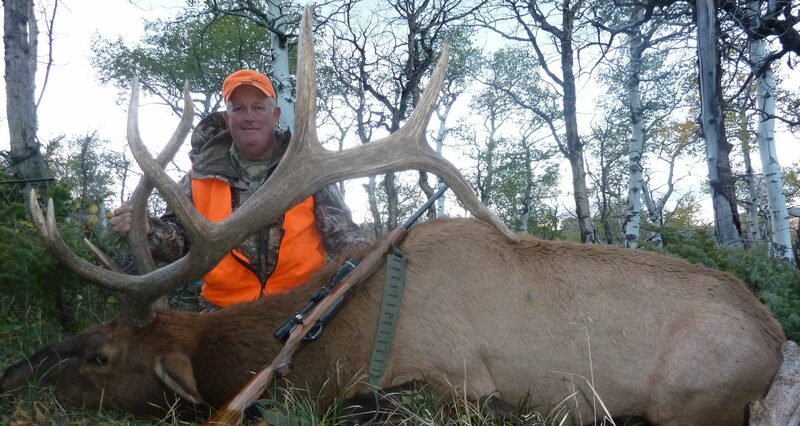 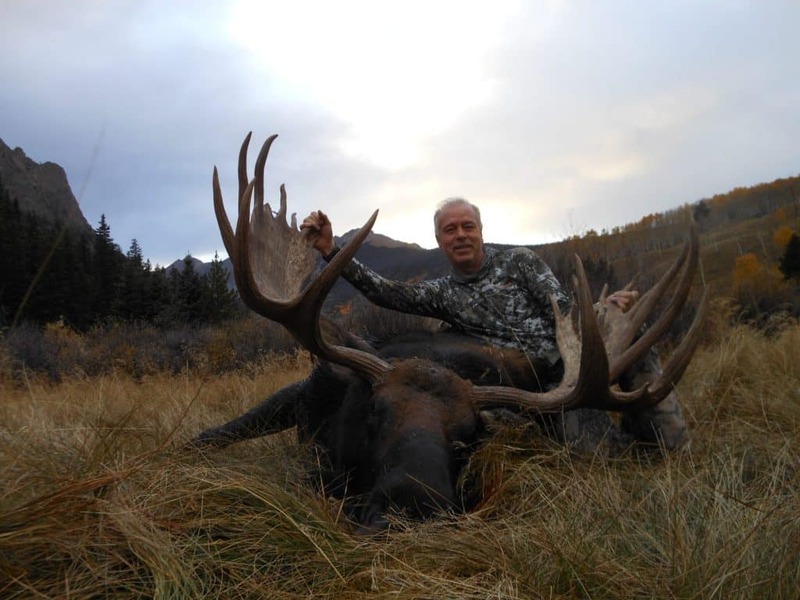 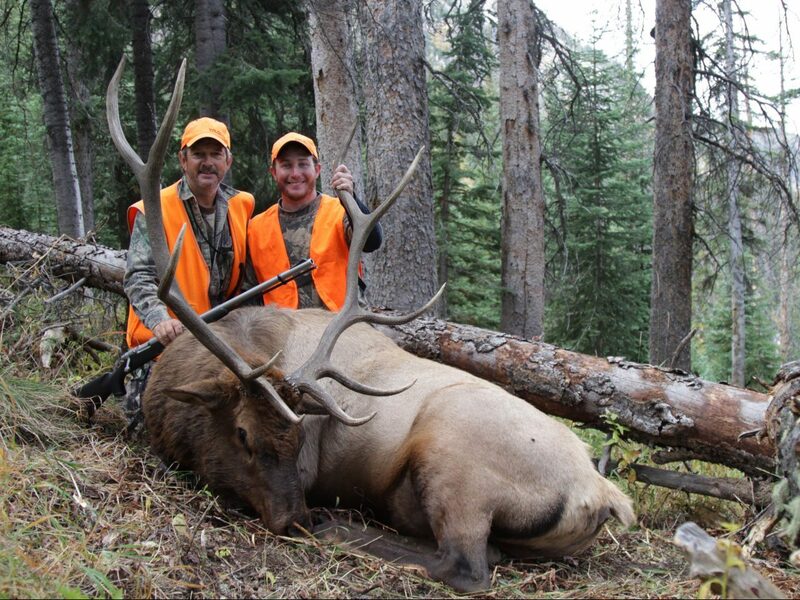 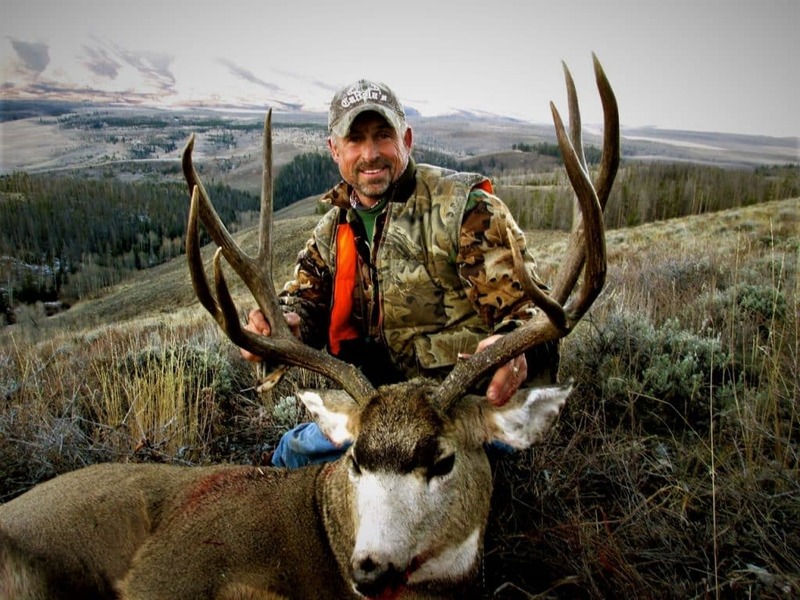 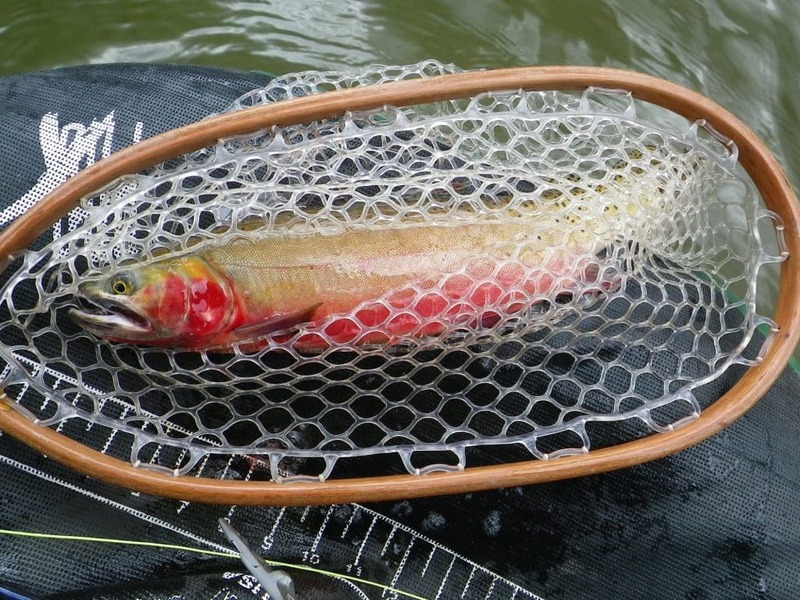 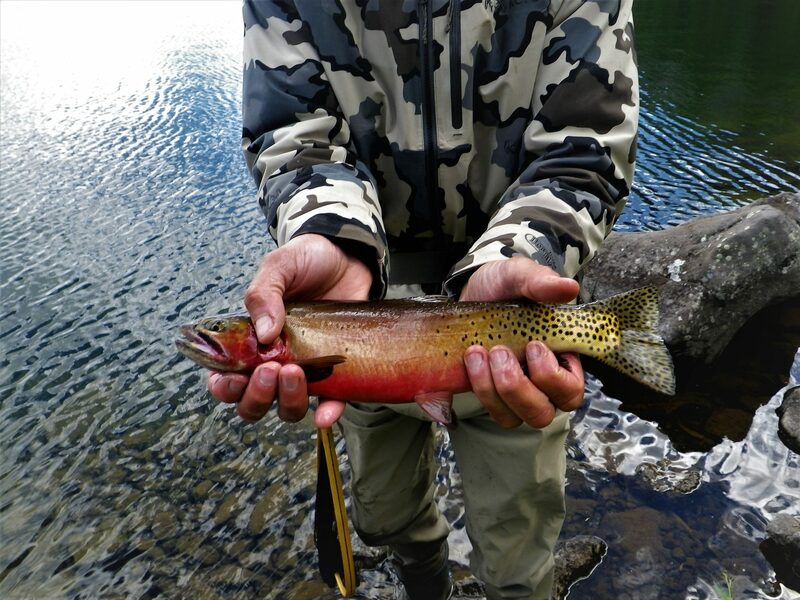 Here are some resources and information to help you plan for a successful trip with Colorado Outfitters! 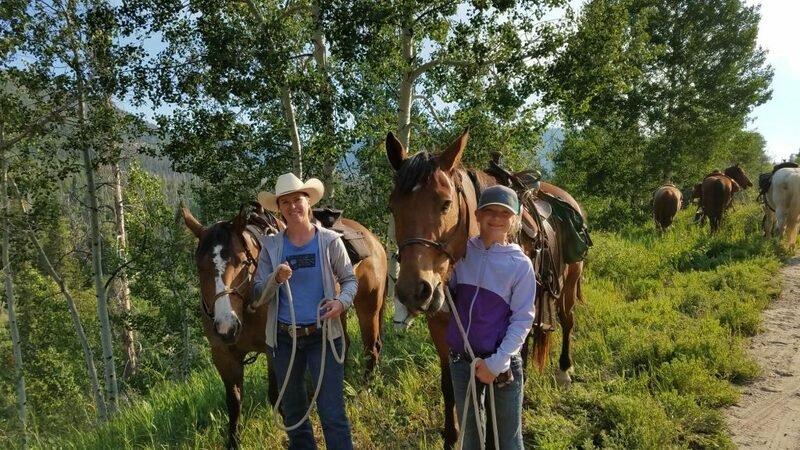 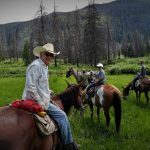 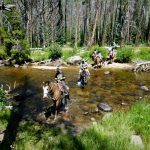 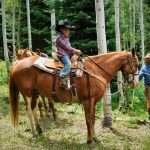 We've put together a comprehensive gear and supplies list to help you plan your horseback adventure at Colorado Outfitters. 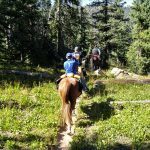 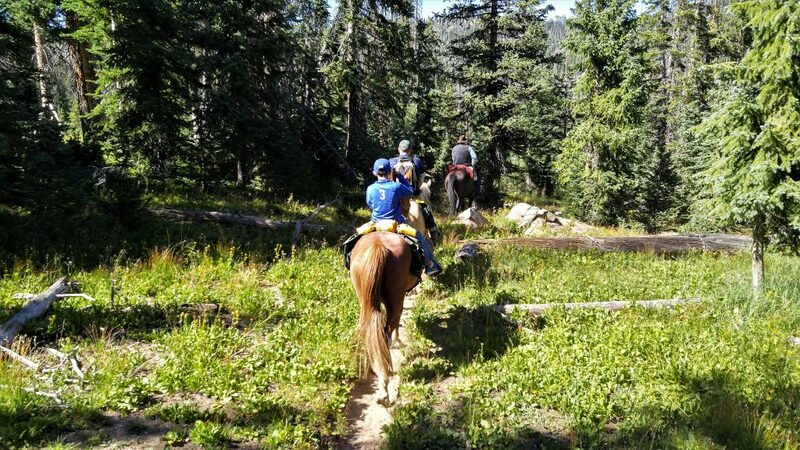 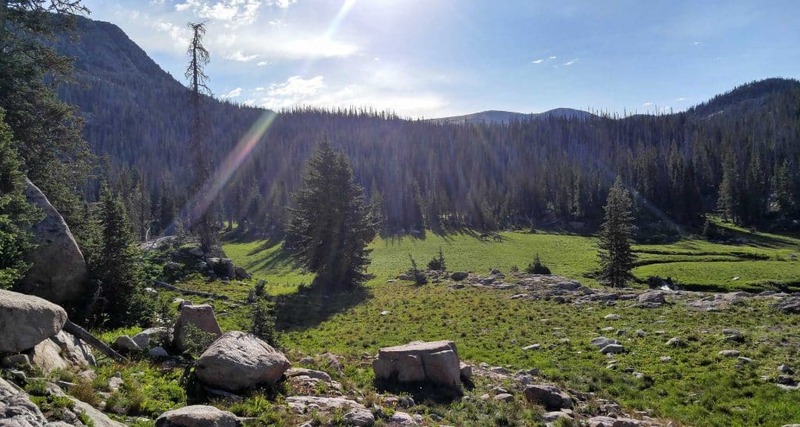 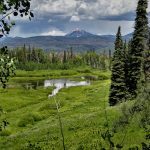 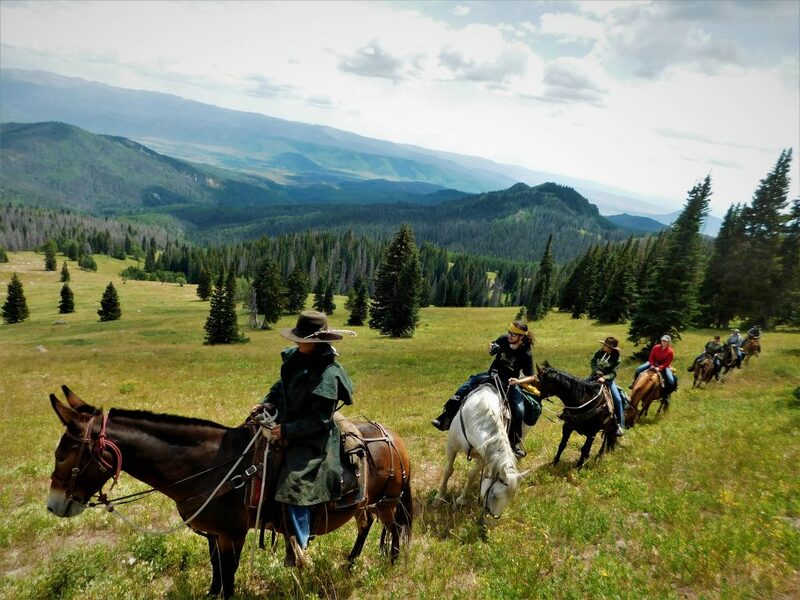 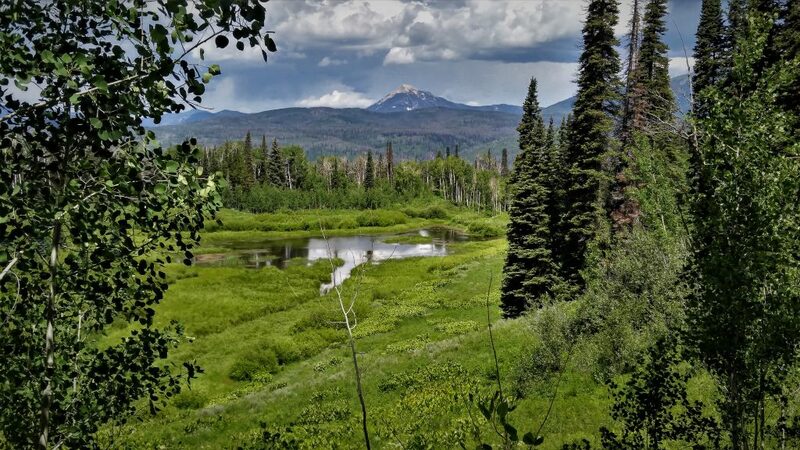 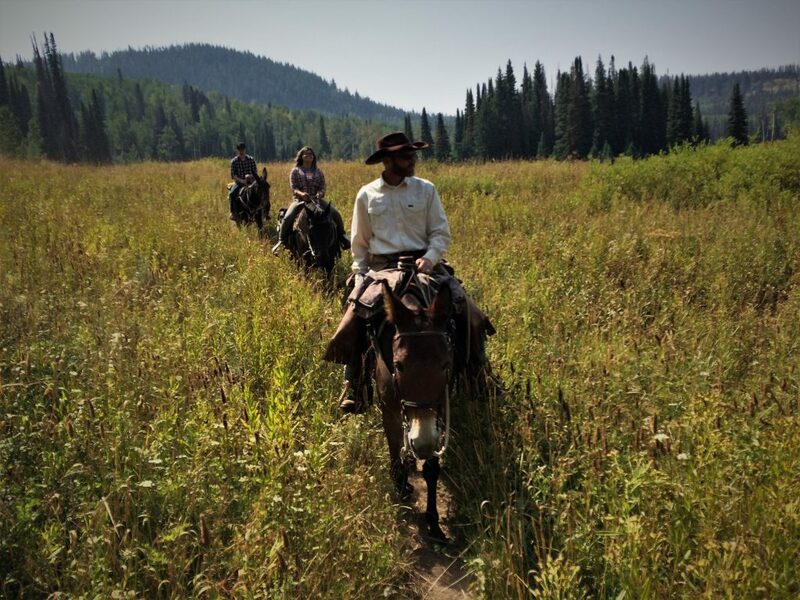 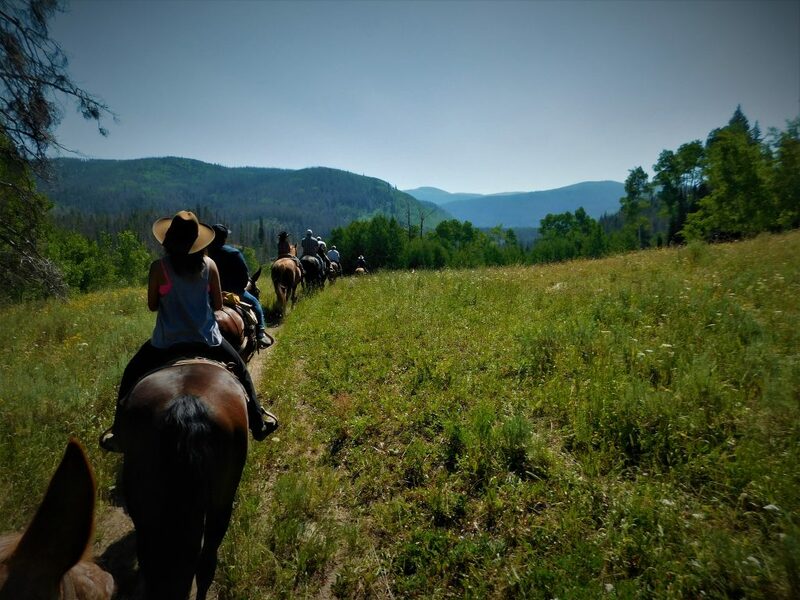 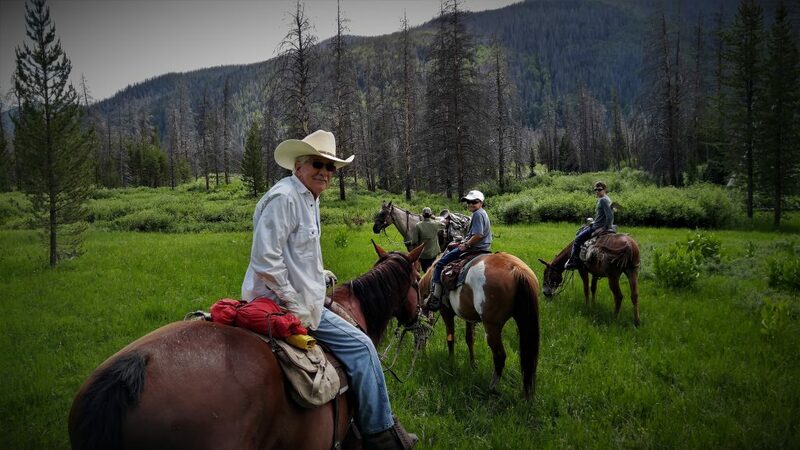 "Our time with Colorado Outfitters, on horseback in the wilderness was fantastic. 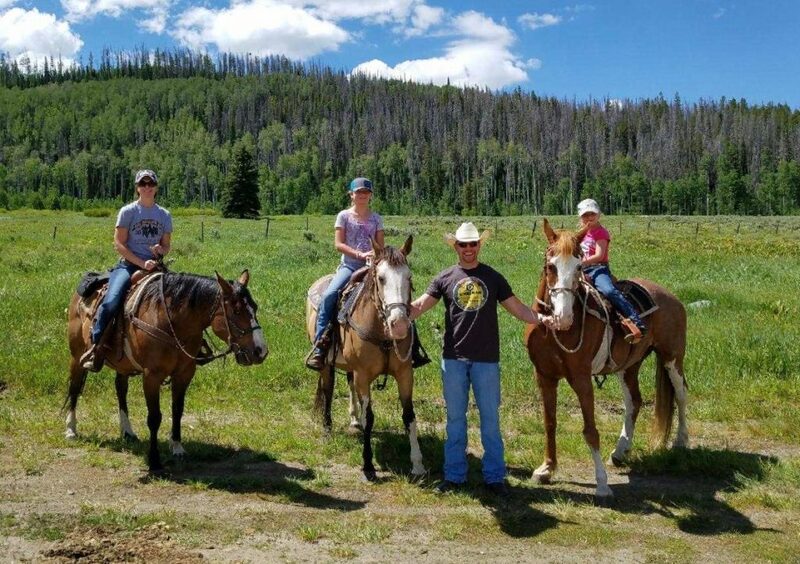 What an absolutely wonderful, life-changing trip!"